ChildChild Age: 6-12 yrs Children under 6 are free. ONE CHILD ADMITTED FREE WITH EACH eTICKETED ADULT. No need to add Child Quantity (above) for this promotion. Offer applies to tickets purchased from this website only and must be used before 6/30/19. This walking tour is an extremely popular daytime adventure into the legendary St. Louis Cemetery #1, New Orleans' oldest City of the Dead. Explore the cemetery and visit the tomb of Voodoo Queen Marie Laveau. Step back in time with this historically accurate and educational tour. The history of New Orleans' Voodoo Queen, Marie Laveau! 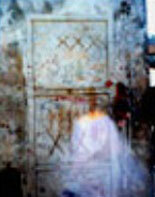 Haunted History Tours is New Orleans' oldest, largest, and most renowned walking tour company. Established in 1994, Haunted History Tours was the first to produce ground-breaking research, explore paranormal phenomena and reveal unprecedented material on the mysterious and sinister aspects of New Orleans. In New Orleans, tales of witches were an integral part of local folklore. Among the Cajuns, it was believed that when an evil witch died, she might return as a chauchemar or nightmare witch. 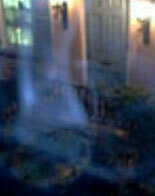 This ghostly creature would attack victims in their bed as they slept. The creature would pin the victim down, causing temporary paralysis. You can't scream, you can't move. Once she has you, she'll ride you like a horse. Many a victim has awakened from griping nightmares to find actual whip marks on their body as evidence of the attack! In other parts of the country, as well as in Europe this is referred to as an attack of the Old Hag. Today we attribute this sort of phenomena to psychic vampirism rather than witchcraft. Often considered the pioneers of the walking tour industry, Haunted History tours has appeared on more television programs and interviewed by more print media than any other tour company in New Orleans. 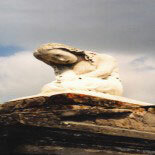 Further, Haunted History Tours is the only tour company to produce and publish its own book on haunted locations in New Orleans and its surrounding areas. They have been featured on A&E, Travel Channel, Discovery Channel, History Channel, MTV, ABC, NBC, CBS, CNN, Sci Fi, AMC and even ESPN! 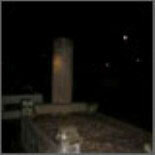 SEE FOR YOURSELF WHY SO MANY NETWORKS CONSIDER HAUNTED HISTORY TOURS "THE" EXPERTS ON THE DARKER SIDE OF NEW ORLEANS! Get your reservation today to join the Cemetery Tour which is mildly theatrical, hugely historical, thoroughly entertaining and will leave you...SPELLBOUND! The Cemetery Tour departs from Rev. Zombie's Voodoo Shop 723 St. Peter Street, New Orleans, LA 70125 between Royal & Bourbon Street, across from Pat O'Brien's Bar. Child Ticket: 6-12 yrs. Children under 6 are free.